Modiin tunnel is a part of the train station complex of central Modiin. 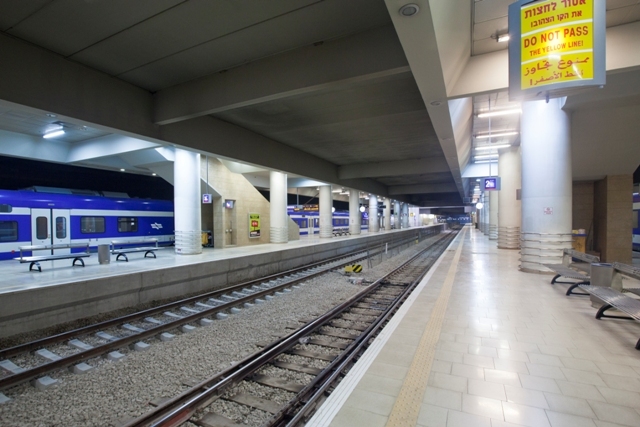 This is the end station of the Tel-Aviv - Ben-Gurion Airport Modiin railway line. The four hundred meters tunnel is made of four one hundred meters sections with different characteristics. 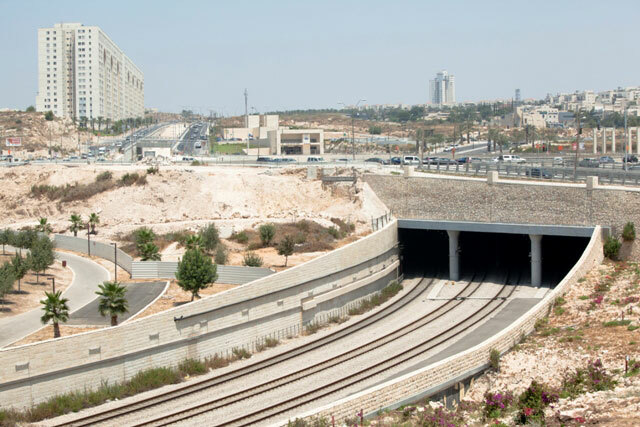 As part of this project, three sections were redesigned for the contractor "Shaphir Co." , changing the original design for Israel Railways Co. All sections built in cut & cover method. The Modiin tunnel is laid under a cover of 20 meters in depth. For this reason, contiguous walls were constructed combined with soil nailing when needed during the excavations for casting of the tunnel. 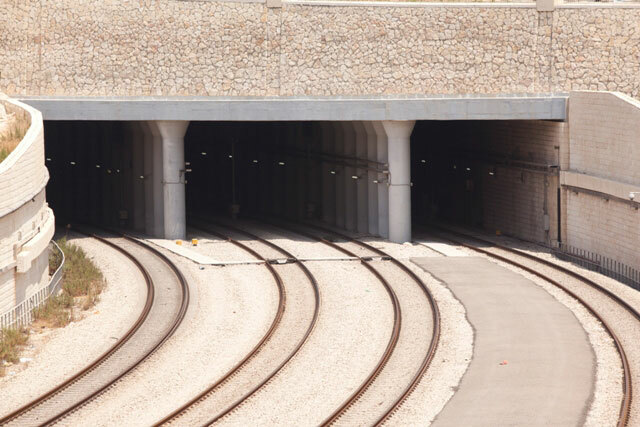 A top road tunnel is planed to be constructed above the train tunnel in the future. Therefore the design analysis of the tunnel included its future loads. The south section of the tunnel is located 7 meters below the final ground level with 110 centimeters thick reinforced concrete roof. Its total width varying between 29-36 meters and includes 3 non-symmetrical spans. 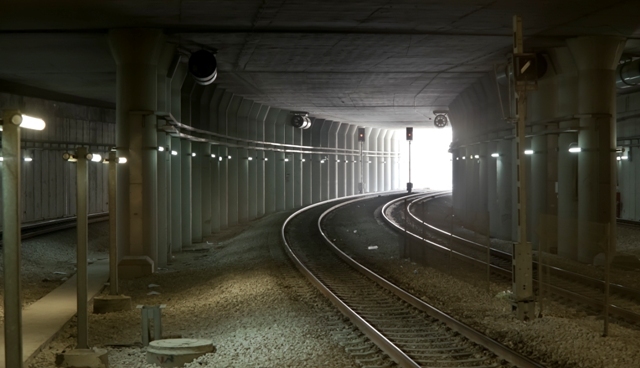 The central section of the tunnel has a single span of about 36.5 meters. Its roof is 170 meters thick made of post-tensed concrete and is fixed to contiguous walls at both ends. The north section of the tunnel is the deepest section of the tunnel reaching depth of 20 meters under the final ground level with three top levels above the railway tunnel. The top level, carrying most of the loads is conducted of 60 centimeters precast prestressed girders inverted T shaped, and topped with reinforced concrete topping.